Young kelp, harvested between February and March before it was fully ripe. This kelp was harvested between a very select window of time from February through March, to collect very young and tender kelp. Young kelp is easy to characterize by its soft texture and chewy flavor. Though kelp is a kind of seaweed, they are not the same. Kelp can also be the name for what large seaweed is called, although kelp falls more under the category of large brown algae. 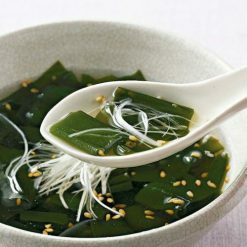 Kelp is very rich in nutrient content, containing iodine, dietary fiber, proteins, sodium, potassium, calcium, iron, magnesium and beta-carotene, phosphorus, vitamins A, C, B12, B1, B2, choline, folate and amino acids. Kelp is quite salty to begin with, which makes the ingredient useful for those who are trying to cut back on their sodium intake. It is commonly used in dishes like stir-fry, salads, and soups. Lately due to the health craze, kelp has become a popular choice as an ingredient to use in smoothies. 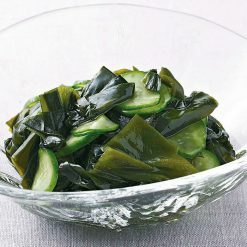 Serving suggestions include using the kelp as a substitute for seaweed, with salad, miso soup, and pickles. Please remove only the amount of frozen kelp you need from the bag. Thaw under running water and gently wash while massaging the kelp. Soak for 2-3 minutes in fresh water. Then, remove all excess moisture. Spread on a cutting board, cut to the size of your liking, and flavor with either: ginger soy sauce, vinegar, salad dressing, miso, or use in a soup. Please be advised that the kelp will come in various sizes and thickness. When cooking, please be sure to cut the kelp into even sizes, to make the cooking process easier. 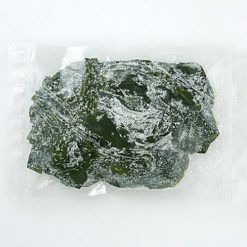 This product contains kelp (domestic; Hakodate, Hokkaido prefecture), salt.. Origin of ingredients: kelp (domestic; Hakodate, Hokkaido prefecture). Prepared and packaged in Japan.